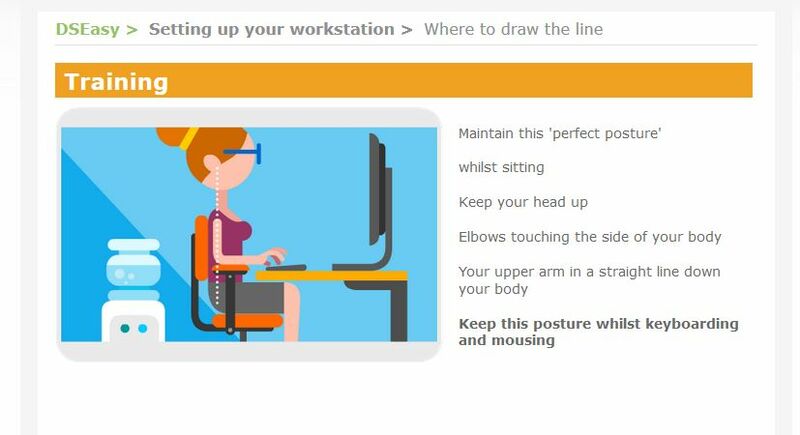 Learning how to improve your posture and reduce the risk of RSI, WRULDS or MSDs is not a game so we don’t use a game or virtual workstation. 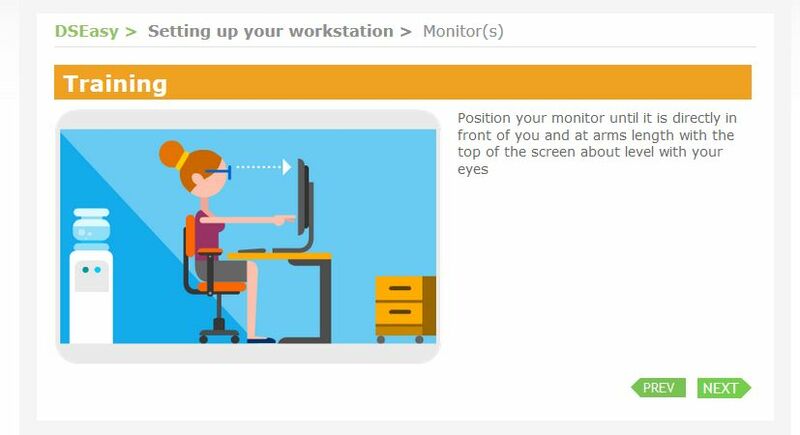 Clear imagery gives you a realistic indication of the right approach to assessing your workstation. 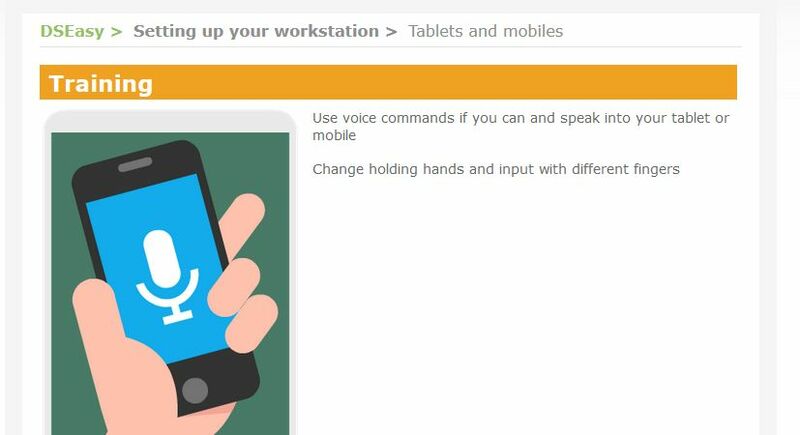 This engages the user more with their own workstation rather than a virtual workstation in the software. 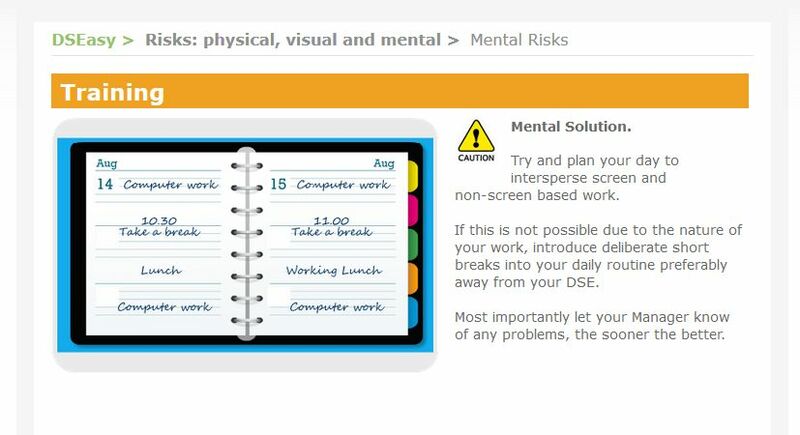 DSEasy interlaces the Knowledge Check questions and the self-assessment questions, within the training pages. 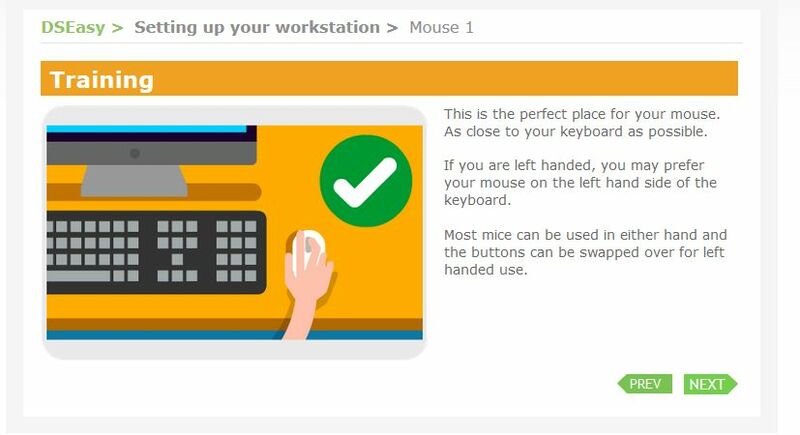 You can have DSEasy customised to insert your own workstation equipment, to make the programme relevant to your users. Quality, relevant imagery instantly improves the user understanding. 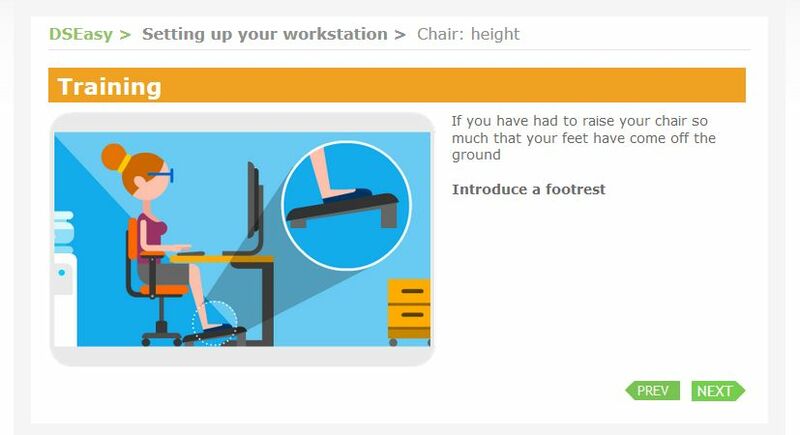 Distance to and from your workstation and keyboard. 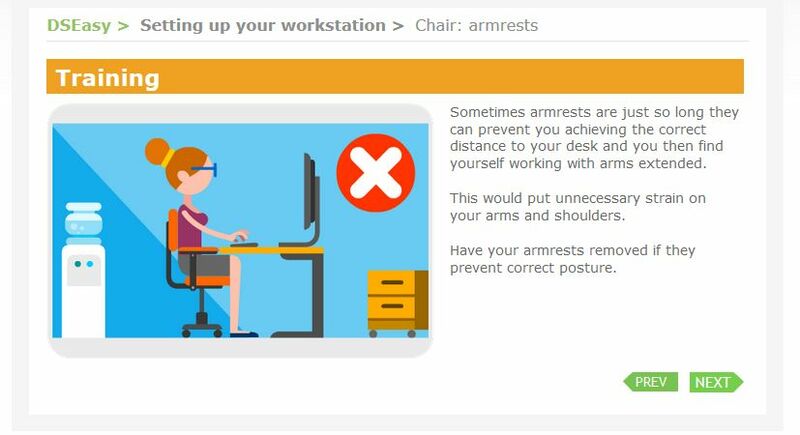 Lumbar support including the importance of always keeping your back in contact with your backrest. Angle of back support, including the importance of making adjustments through the day. 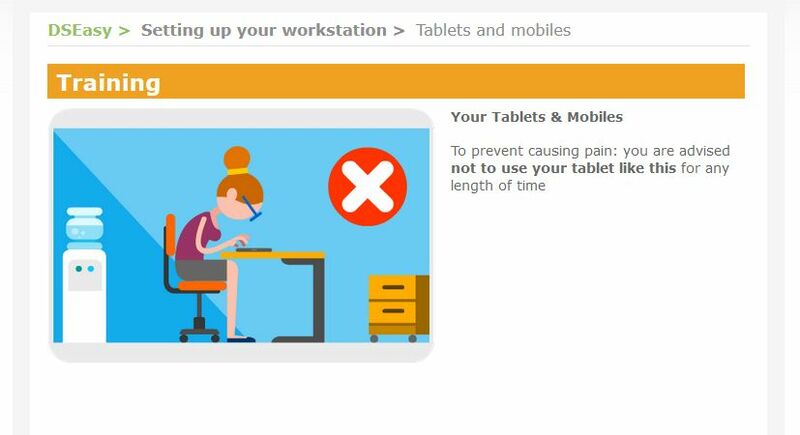 Typical poor postures exposed and the why nots explained. 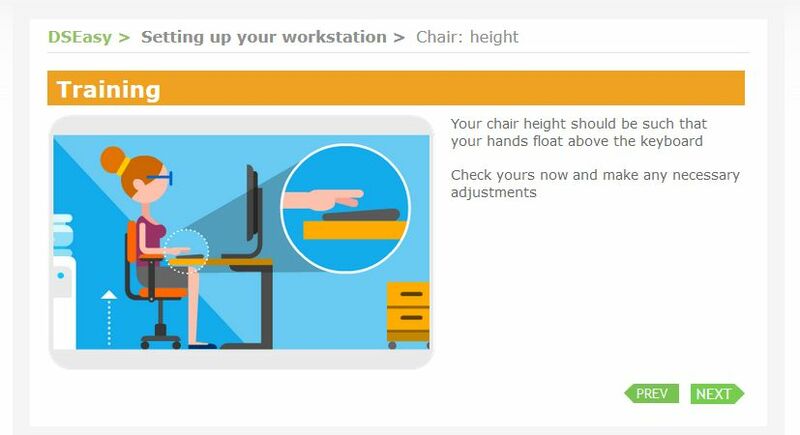 When and how to change posture. 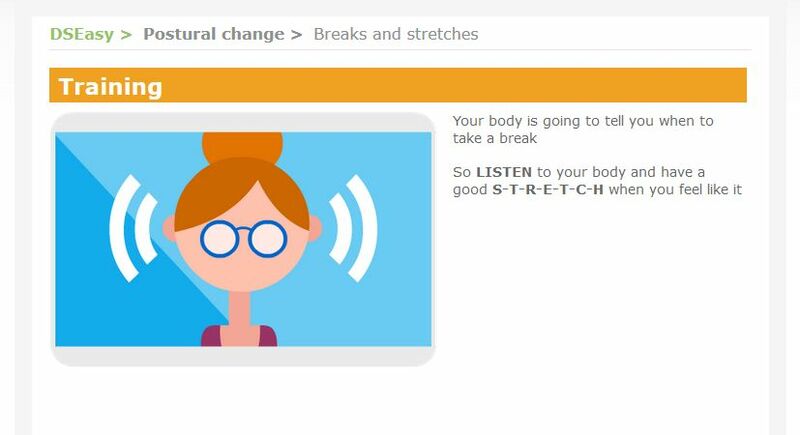 Complete the training program with a series of exercises, both sitting down and standing up. Images are always subjective and some you’ll like and some you won’t. Any images you don’t like can be changed to ones you do. 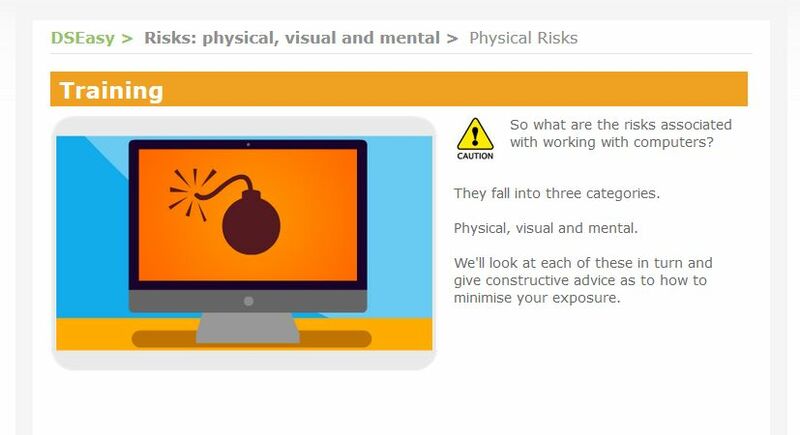 For example in DSEasy the default image regarding mental risks shows some angst. Maybe you’d prefer something a bit more positive like the image below. Just let us know and we’ll make the changes for you. 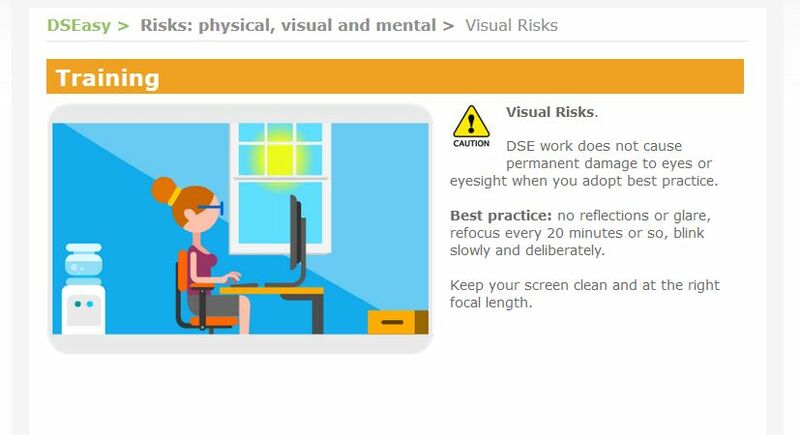 For example Eye Sight Test advice with your instructions.